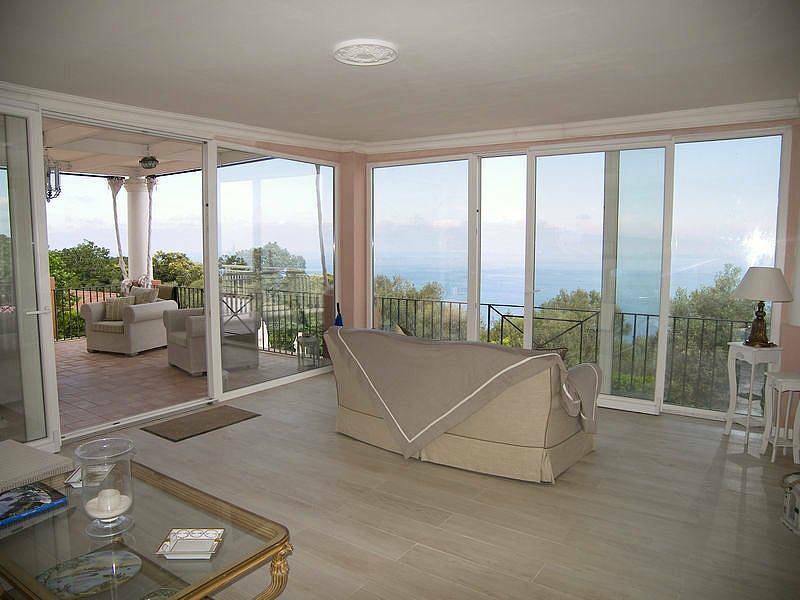 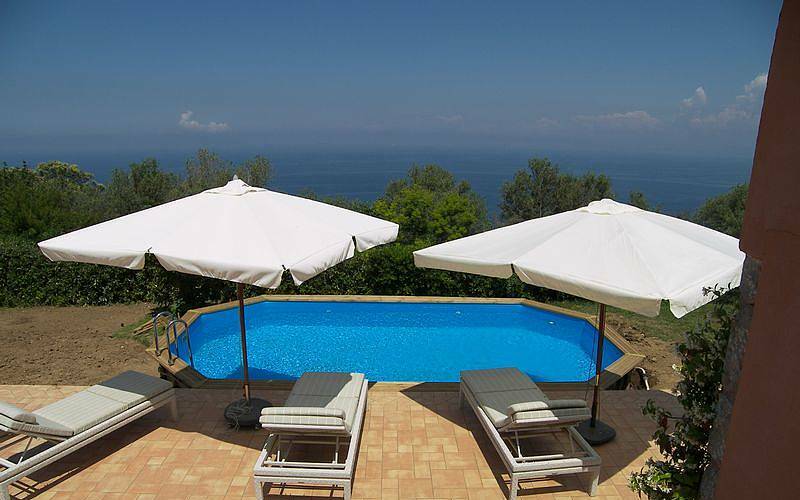 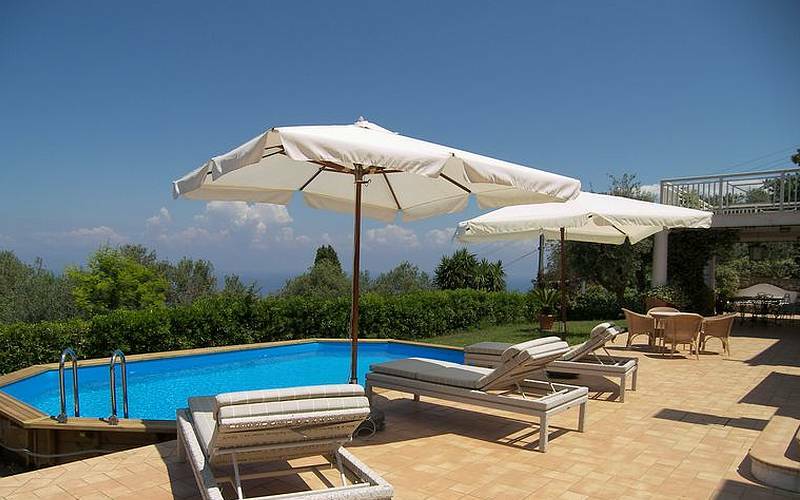 The enchanting Villa Rose Jewel is located in Anacapri, just 5 minutes away from Anacapri's city center, in the area called Linaro, one of the most lovely place of the island, where it is possible to admire a fantastic view over the sea and the Bay of Naples as well. 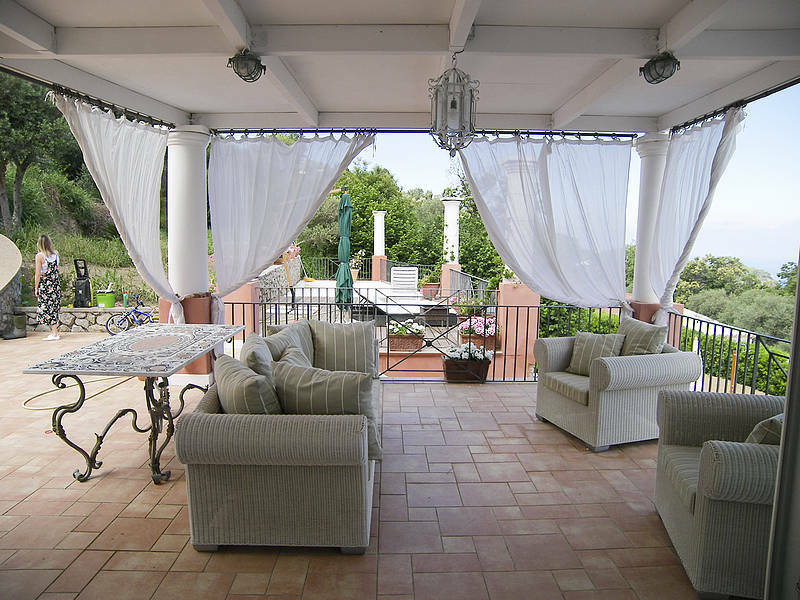 The villa is completely surrounded by olive threes and mediterrean plants: accessing the gate you reach the large covered terrace, completely furnished with nice sofas and chairs, where sitting and relaxing during your vacation. 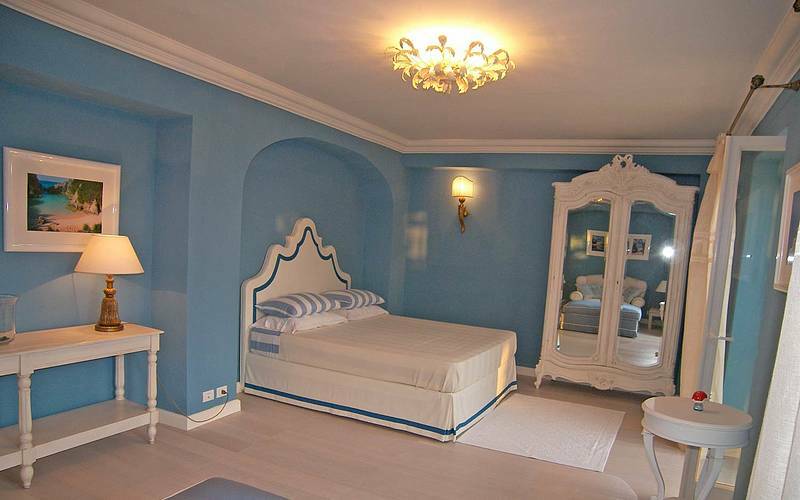 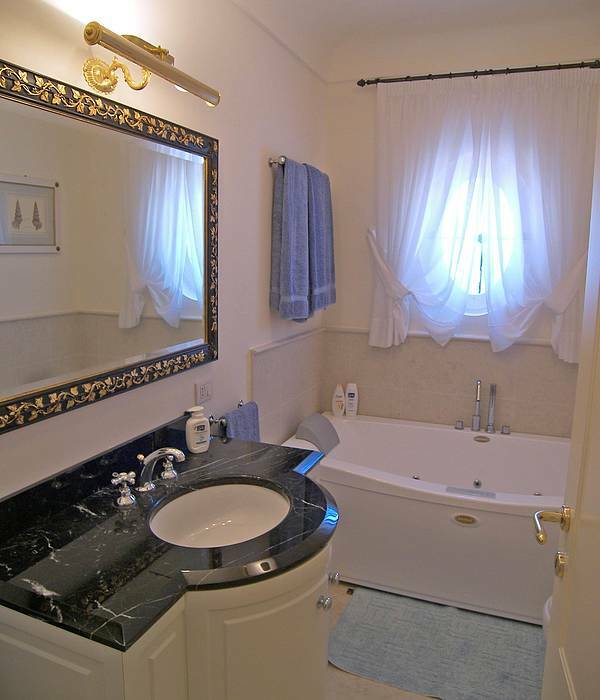 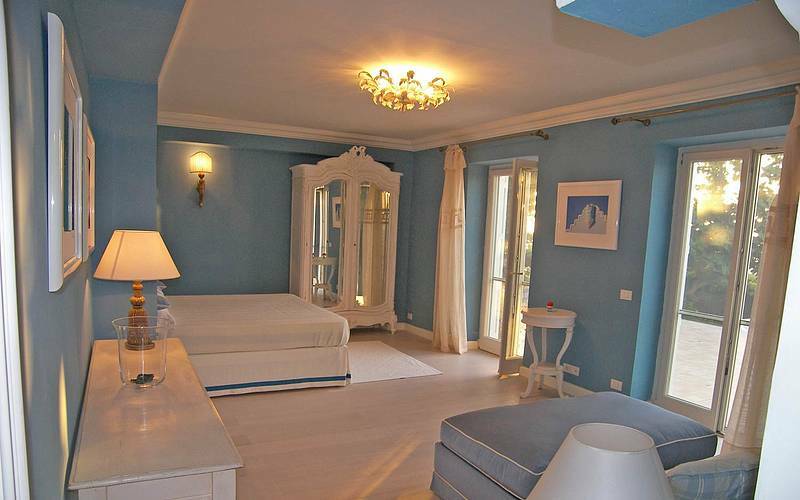 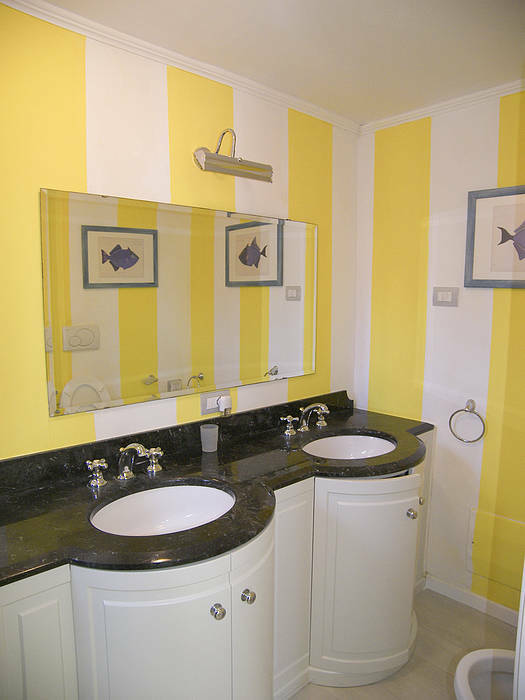 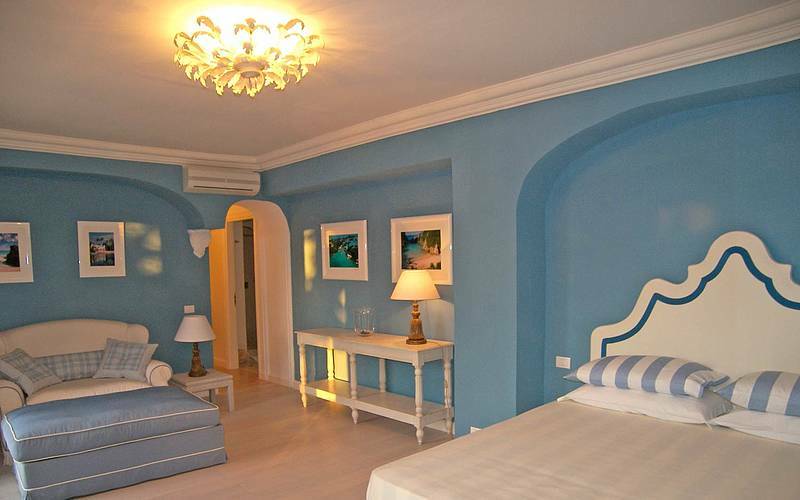 Beside the terrace you find the dependance, composed by a bedroom and bathroom with shower. 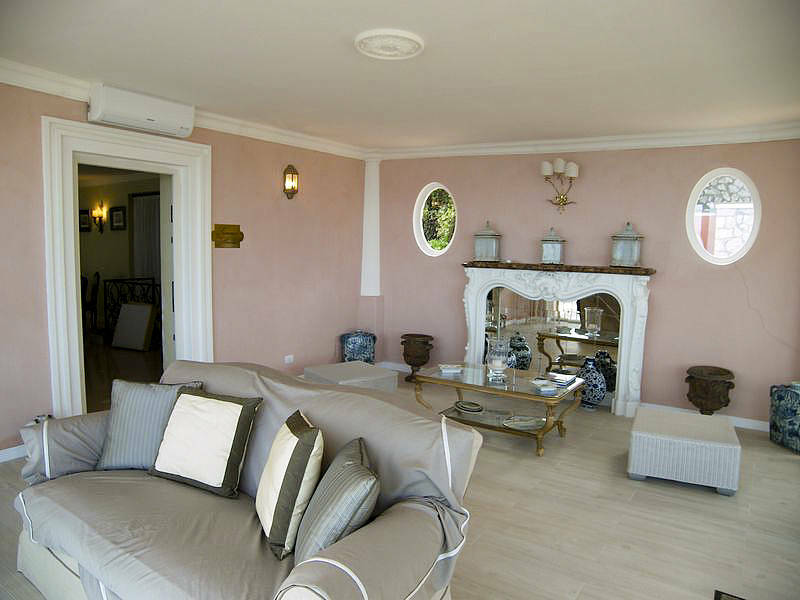 Once entered the central building of Villa Rose, you will be amazed at the elegant luxury sitting room, with marble floor, old pieces of furniture like the table and chairs of XIX century. 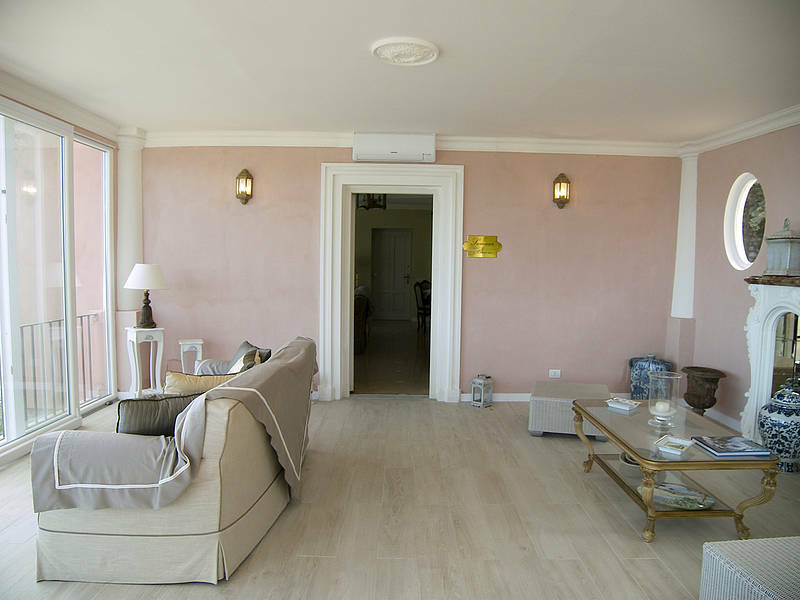 The ceiling of the sitting room is a big dome with a wonderful brass chandelier in the middle... like in a realm! 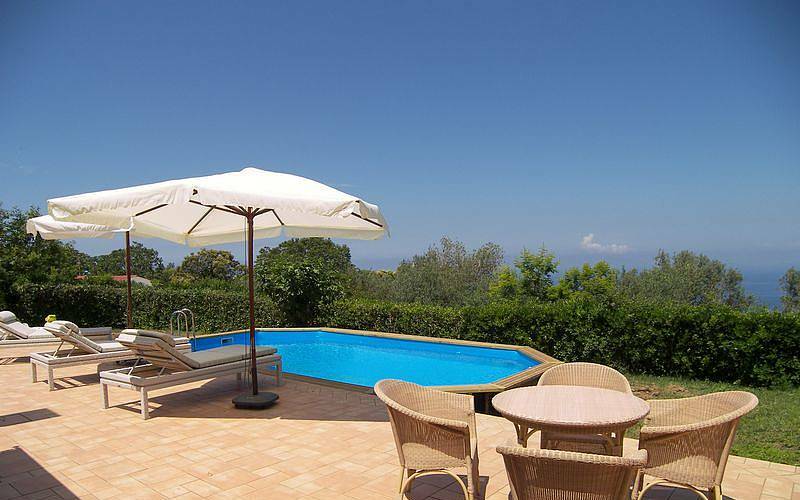 All the rooms have a private direct access to the terrace, where you find the swimming pool. 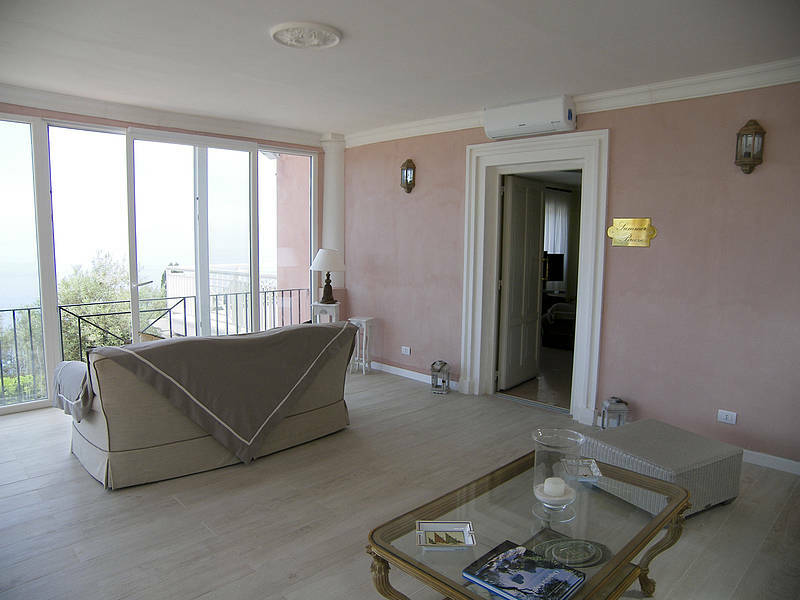 You can access to second floor by elegant interior stairs: here you find a nice fully equipped kitchen, 4 elegant bedrooms and 4 bathrooms that share the same luxury style. 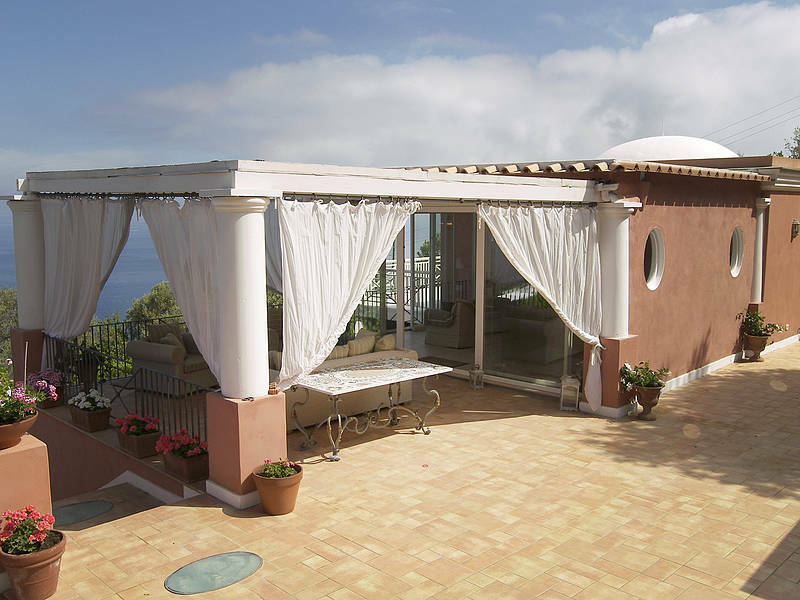 Admire from here a spectacular colored sunset over the Gulf of Naples and the island of Procida and Ischia.